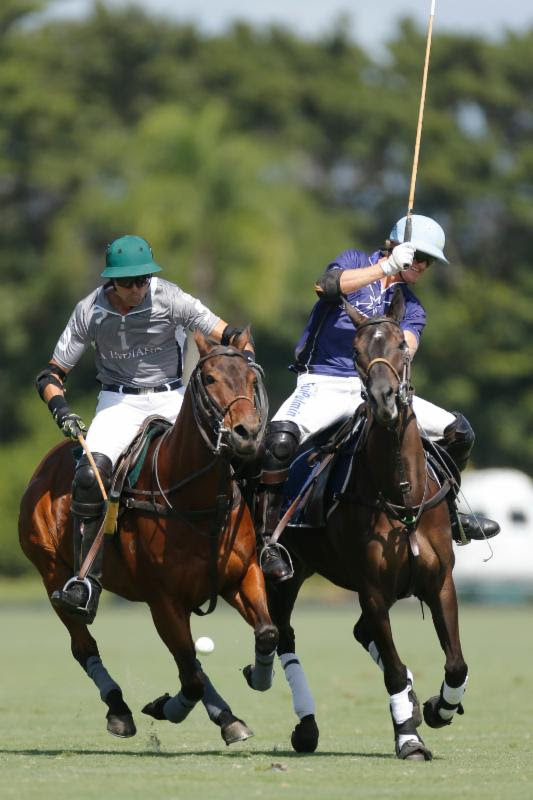 Wellington, Fla. – March 4, 2017 – Saturday’s Iglehart Cup quarterfinal game at the International Polo Club Palm Beach (IPC) was a crucial contest for both Mt. Brilliant and La Indiana. With both teams gunning for a spot in the semi-finals, Jason Crowder—high-scorer of the day with 9 goals—sealed the deal for Mt. Brilliant 13-12 in overtime. Mt. 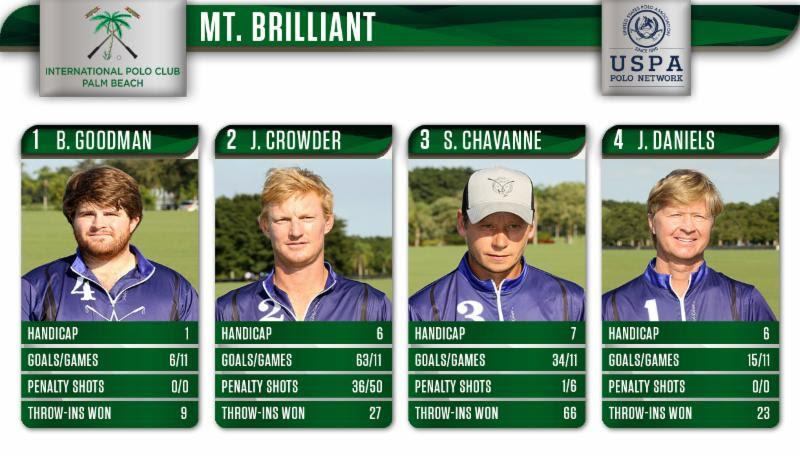 Brilliant came out strong early in the first chukker, shooting at 6 times and converting 3 of those shots for goals. 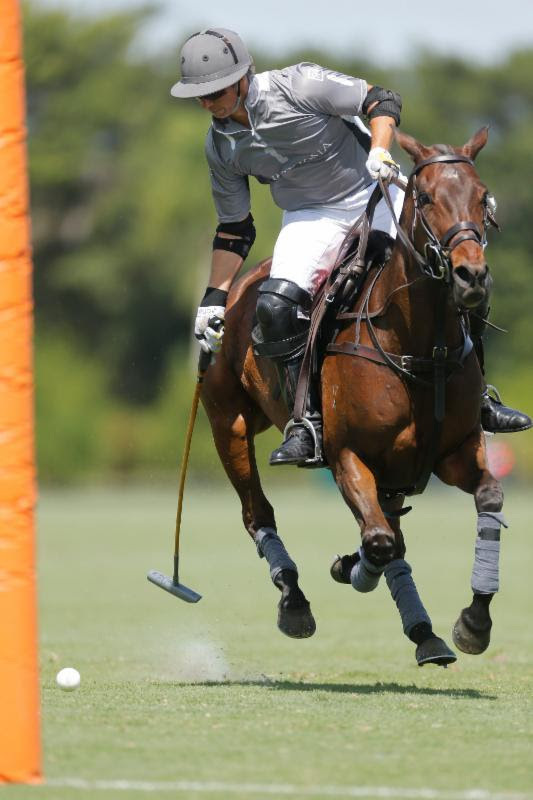 Bo Goodman scored twice in the first chukker, making a big impact for his team by finishing plays up front. Mike Azzaro and Ruki Baillieu answered for La Indiana as Mt. Brilliant took an early 3-2 lead into the second chukker. Throughout the 2017 season, fouls have been an issue for La Indiana. They had the highest foul rate at 14 fouls per game coming into Saturday’s match. 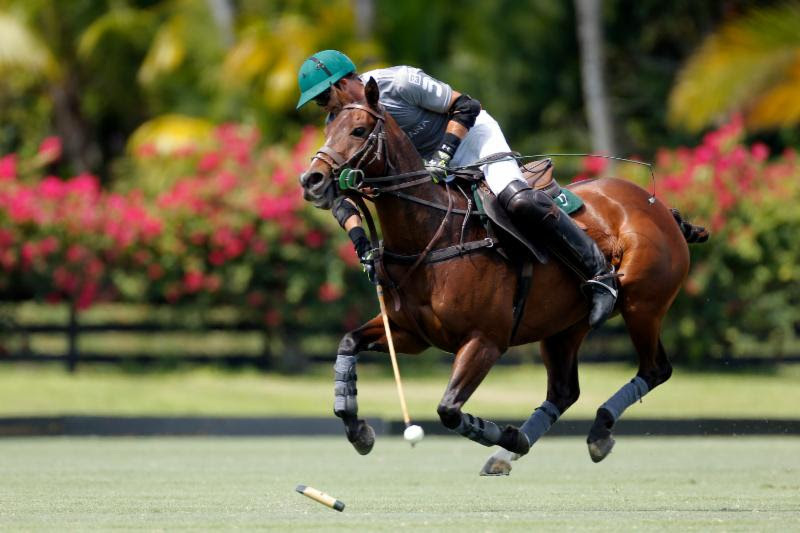 The trend continued as La Indiana went on to foul 8 times in the second and third chukkers alone. That put Crowder on the penalty line, where he has been an efficient 67.4%. The extra possessions for Mt. Brilliant, along with Crowder converting all 4 penalty chances in the first half, allowed Mt. Brilliant to extend their lead and take a 9-4 lead into halftime. 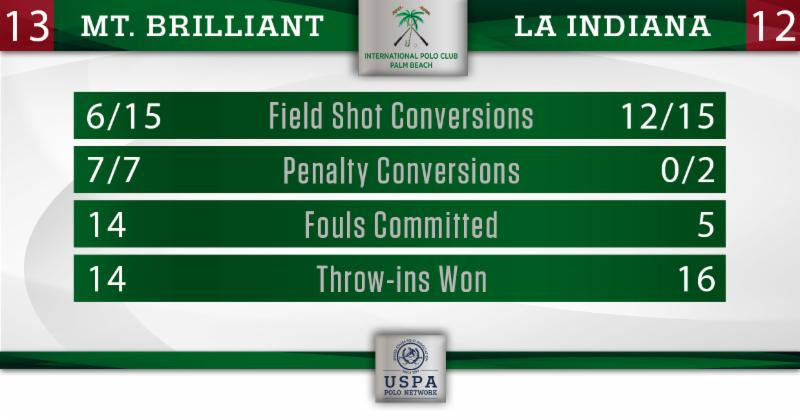 La Indiana flipped a switch in the second half, limiting their fouls and outshooting Mt. Brilliant 8 to 4. Mike Azzaro came forward from his back position to ignite the La Indiana offense and score 7 goals from the field on the game. Not only did La Indiana as a team shoot at goal 8 times, but they converted all 8 of those shots in the second half, scoring all 12 of their goals from the field. After winning a crucial challenge late in the sixth chukker, Ruki Baillieu scored from the throw-in to tie the score after La Indiana had trailed the entire game. Crowder kept Mt. Brilliant from losing their large lead as he added two more penalty goals to go a perfect 6-for-6 through 6 chukkers as the game went into overtime. Fouls once again caught up with La Indiana as an early foul led to a Mt. Brilliant possession in the attacking half. They drove downfield, edging La Indiana into another foul. That resulted in a penalty 2 tap-in for Crowder, who finished 7 of 7 on penalties and led his Mt. Brilliant team to a 13-12 overtime win. Semi-final pairings will be determined at a 9 a.m. shootout Saturday. 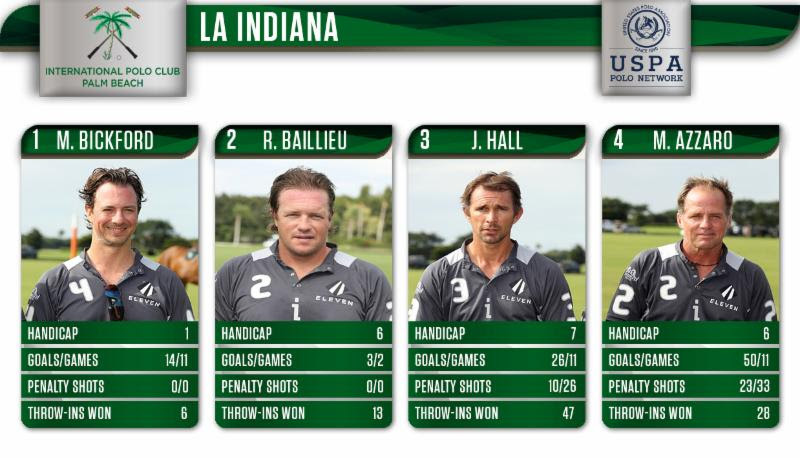 All games in the Iglehart Cup are being live streamed on the USPA Polo Network: uspolo.org. 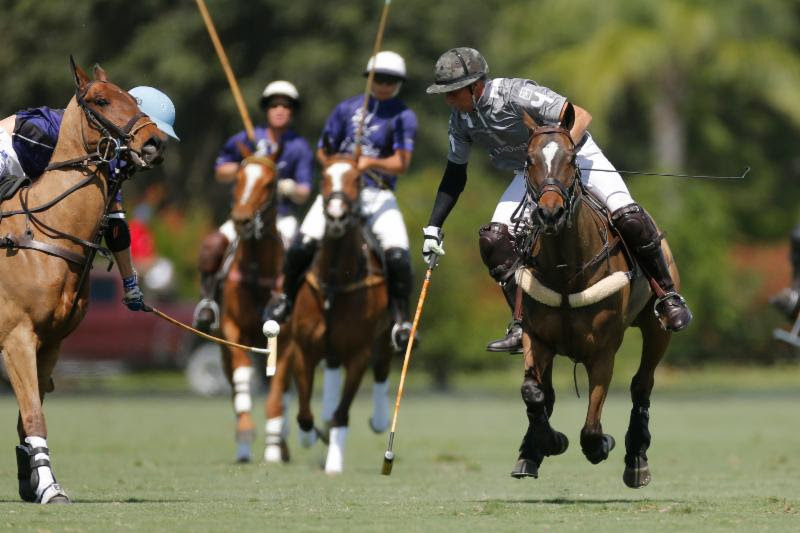 by International Polo Club Palm Beach.